Dr. Yi Zhang works as a Lecturer at the UTS Centre for Artificial Intelligence & School of Software. He holds dual PhD degrees, one is in Management Science & Engineering (from Beijing Institute of Technology) and the other is in Software Engineering (from University of Technology Sydney), and he was a visiting scholar at the School of Public Policy, Georgia Institute of Technology from 2011 to 2012. He has published more than 50 high-quality papers in refereed journals, conference proceedings and book chapters, and these publications cover cross-disciplines, such as information science, business & management, and information systems. Some top-tier journals in related fields include Journal of the Association for Information Science and Technology (ERA-A*), Journal of Informetrics (ERA-A), Technological Forecasting & Social Change (ERA-A), and Scientometrics (ERA-A). His publications have received over 730 citations in Google Scholar, with the h-index of 14 (April 2019), including two Highly Cited Papers in the Essential Science Indicators database (2017-2019), and one co-authored paper won the Brad Hosler Award for Best Student Paper in the 2016 Portland International Conference for Management of Engineering and Technology (ERA-A conference). 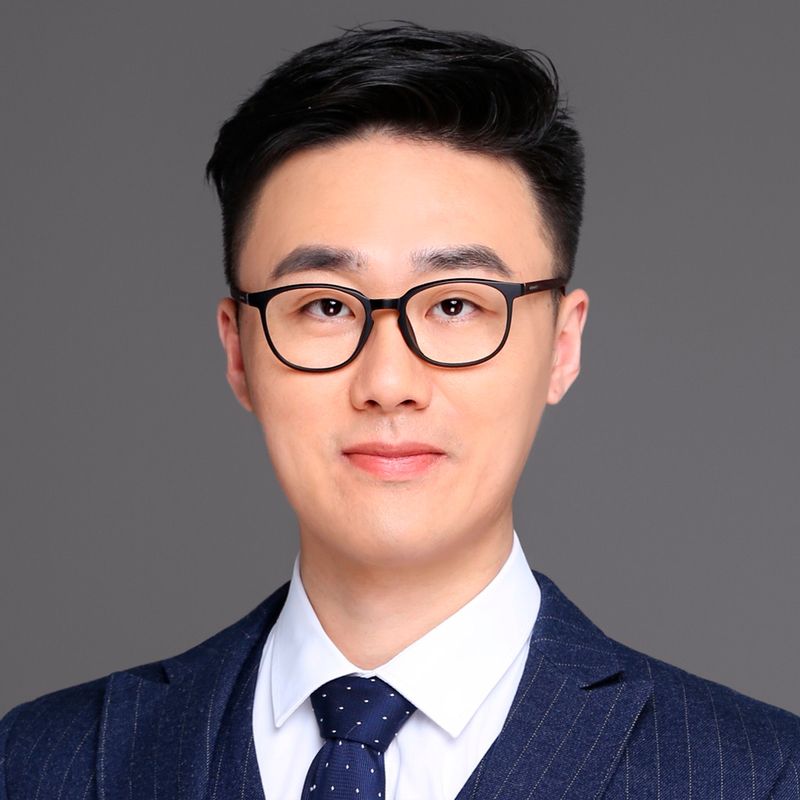 He is the recipient of the 2019 ARC Discovery Early Career Researcher Award (DECRA), and the chief-investigator or principal-investigator of nearly ten research programs granted by ARC and the Natural Science Foundation of China. Business Intelligence for Decision Support 32567. © 2018 As one of the most impactful emerging technologies, big data analytics and its related applications are powering the development of information technologies and are significantly shaping thinking and behavior in today's interconnected world. Exploring the technological evolution of big data research is an effective way to enhance technology management and create value for research and development strategies for both government and industry. This paper uses a learning-enhanced bibliometric study to discover interactions in big data research by detecting and visualizing its evolutionary pathways. Concentrating on a set of 5840 articles derived from Web of Science covering the period between 2000 and 2015, text mining and bibliometric techniques are combined to profile the hotspots in big data research and its core constituents. A learning process is used to enhance the ability to identify the interactive relationships between topics in sequential time slices, revealing technological evolution and death. The outputs include a landscape of interactions within big data research from 2000 to 2015 with a detailed map of the evolutionary pathways of specific technologies. Empirical insights for related studies in science policy, innovation management, and entrepreneurship are also provided. © 2018 All rights reserved. Topic extraction presents challenges for the bibliometric community, and its performance still depends on human intervention and its practical areas. This paper proposes a novel kernel k-means clustering method incorporated with a word embedding model to create a solution that effectively extracts topics from bibliometric data. The experimental results of a comparison of this method with four clustering baselines (i.e., k-means, fuzzy c-means, principal component analysis, and topic models) on two bibliometric datasets demonstrate its effectiveness across either a relatively broad range of disciplines or a given domain. An empirical study on bibliometric topic extraction from articles published by three top-tier bibliometric journals between 2000 and 2017, supported by expert knowledge-based evaluations, provides supplemental evidence of the method's ability on topic extraction. Additionally, this empirical analysis reveals insights into both overlapping and diverse research interests among the three journals that would benefit journal publishers, editorial boards, and research communities. Technology strategy plays an increasingly important role in today's Mergers and Acquisitions (M&A) activities. Informing that strategy with empirical intelligence offers great potential value to R&D managers and technology policy makers, this paper proposes a methodology, based on patent analysis, to extract technical intelligence to identify technology M&A target technologies and evaluate relevant target companies to facilitate M&A target selection. We apply the term clumping process and a trend analysis together with policy and market information to profile present R&D status and capture future development signals and trends in order to grasp a range of significant domain-based technologies. Furthermore, a comparison between a selected acquirer and leading players is used to identify significant technologies and sub-technologies for specific strategy-oriented technology M&A activities. Finally, aiming to recommend appropriate M&A target companies, we set up an index-based system to evaluate the acquired target candidates from both firms-side perspective and target firm-side perspective and differentially weigh for specific M&A situations. We provide an empirical study in the field of computer numerical control machine tools (CNCMT) in China to identify technology M&A targets for an emerging Chinese CNCMT company – Estun Automation under different M&A strategies. © 2017, Akadémiai Kiadó, Budapest, Hungary. Interdisciplinary research has been a focus in academia, and it is beneficial to understand the properties and structure of interdisciplinary research from the viewpoint of bibliometrics. This paper detects distinctions between publication categories and citation categories to measure the interdisciplinarity of individual publications, and then to measure interdisciplinarity for one research system by the average interdisciplinarity of individual publications, which are taken as elements in the research system. The average and the standard deviation (SD) that reflects the variance of the elements' interdisciplinarity in one research system, of all the publications' integration scores and diffusion scores, were then respectively calculated. Sixty of the most productive authors from three Web of Science categories (Mathematics, Applied; Computer Science, Artificial Intelligence; and Operations Research and Management Science) were selected as a case to validate our approach. The results showed that measuring the interdisciplinarity of individual elements effectively lessened the impacts caused by some elements with distinctive citation categories on the research system's interdisciplinarity (especially those research systems with large SDs). Furthermore, measuring the distinction between publication categories and citation categories is essential for individual publications' interdisciplinarity when the citation categories do not appear in the categories of the publication itself or the publication has only a single citation category. Tech mining, a special form of 'Big Data' analytics, aims to generate Competitive Technical Intelligence (CTI) using bibliometric and text mining software (e.g., VantagePoint, TDA), as well as other analytical and visualization applications, for analyses of Science, Technology & Innovation (ST&I) information resources. The big data boom challenges tech mining. How to advance tech mining techniques to devise CTI from scalable ST&I data and how to address real-world ST&I concerns using such CTI have emerged as issues. © 2017 The journal Knowledge-based Systems (KnoSys) has been published for over 25 years, during which time its main foci have been extended to a broad range of studies in computer science and artificial intelligence. Answering the questions: 'What is the KnoSys community interested in?' and 'How does such interest change over time?' are important to both the editorial board and audience of KnoSys. This paper conducts a topic-based bibliometric study to detect and predict the topic changes of KnoSys from 1991 to 2016. A Latent Dirichlet Allocation model is used to profile the hotspots of KnoSys and predict possible future trends from a probabilistic perspective. A model of scientific evolutionary pathways applies a learning-based process to detect the topic changes of KnoSys in sequential time slices. Six main research areas of KnoSys are identified, i.e., expert systems, machine learning, data mining, decision making, optimization, and fuzzy, and the results also indicate that the interest of KnoSys communities in the area of computational intelligence is raised, and the ability to construct practical systems through knowledge use and accurate prediction models is highly emphasized. Such empirical insights can be used as a guide for KnoSys submissions. © 2017, Akadémiai Kiadó, Budapest, Hungary. How to evaluate the value of a patent in technological innovation quantitatively and systematically challenges bibliometrics. Traditional indicator systems and weighting approaches mostly lead to 'moderation' results; that is, patents ranked to a top list can have only good-looking values on all indicators rather than distinctive performances in certain individual indicators. Orienting patents authorized by the United States Patent and Trademark Office (USPTO), this paper constructs an entropy-based indicator system to measur e their potential in technological innovation. Shannon's entropy is introduced to quantitatively weight indicators and a collaborative filtering technique is used to iteratively remove negative patents. What remains is a small set of positive patents with potential in technological innovation as the output. A case study with 28,509 USPTO-authorized patents with Chinese assignees, covering the period from 1976 to 2014, demonstrates the feasibility and reliability of this method. © 2017, Akadémiai Kiadó, Budapest, Hungary. Technologies play an important role in the survival and development of enterprises. Understanding and monitoring the core technological components (e.g., technology process, operation method, function) of a technology is an important issue for researchers to develop R & D policy and manage product competitiveness. However, it is difficult to identify core technological components from a mass of terms, and we may experience some difficulties with describing complete technical details and understanding the terms-based results. This paper proposes a Subject-Action-Object (SAO)-based method, in which (1) a syntax-based approach is constructed to extract the SAO structures describing the function, relationship and operation in specified topics; (2) a systematic method is built to extract and screen technological components from SAOs; and (3) we propose a 'relevance indicator' to calculate the relevance of the technological components to requirements, and finally identify core technological components based on this indicator. Based on the considerations for requirements and novelty, the core technological components identified have great market potential and can be useful in monitoring and forecasting new technologies. An empirical study of graphene is performed to demonstrate the proposed method. The resulting knowledge may hold interest for R & D management and corporate technology strategies in practice. © 2013 IEEE. In recommender systems, collaborative filtering technology is an important method to evaluate user preference through exploiting user feedback data, and has been widely used in industrial areas. Diffusion-based recommendation algorithms inspired by diffusion phenomenon in physical dynamics are a crucial branch of collaborative filtering technology, which use a bipartite network to represent collection behaviors between users and items. However, diffusion-based recommendation algorithms calculate the similarity between users and make recommendations by only considering implicit feedback but neglecting the benefits from explicit feedback data, which would be a significant feature in recommender systems. This paper proposes a mixed similarity diffusion model to integrate both explicit feedback and implicit feedback. First, cosine similarity between users is calculated by explicit feedback, and we integrate it with resource-allocation index calculated by implicit feedback. We further improve the performance of the mixed similarity diffusion model by considering the degrees of users and items at the same time in diffusion processes. Some sophisticated experiments are designed to evaluate our proposed method on three real-world data sets. Experimental results indicate that recommendations given by the mixed similarity diffusion perform better on both the accuracy and the diversity than that of most state-of-the-art algorithms. and innovation pathways in these two countries. Similarity measures are fundamental tools for identifying relationships within or across patent portfolios. Many bibliometric indicators are used to determine similarity measures; for example, bibliographic coupling, citation and co-citation, and co-word distribution. This paper aims to construct a hybrid similarity measure method based on multiple indicators to analyze patent portfolios. Two models are proposed: categorical similarity and semantic similarity. The categorical similarity model emphasizes international patent classifications (IPCs), while the semantic similarity model emphasizes textual elements. We introduce fuzzy set routines to translate the rough technical (sub-) categories of IPCs into defined numeric values, and we calculate the categorical similarities between patent portfolios using membership grade vectors. In parallel, we identify and highlight core terms in a 3-level tree structure and compute the semantic similarities by comparing the tree-based structures. A weighting model is designed to consider: 1) the bias that exists between the categorical and semantic similarities, and 2) the weighting or integrating strategy for a hybrid method. A case study to measure the technological similarities between selected firms in China's medical device industry is used to demonstrate the reliability our method, and the results indicate the practical meaning of our method in a broad range of informetric applications. © 2015 Elsevier Inc. Understanding the evolution and emergence of technology domains remains a challenge, particularly so for potentially breakthrough technologies. Though it is well recognized that emergence of new fields is complex and uncertain, to make decisions amidst such uncertainty, one needs to mobilize various sources of intelligence to identify known-knowns and known-unknowns to be able to choose appropriate strategies and policies. This competitive technical intelligence cannot rely on simple trend analyses because breakthrough technologies have little past to inform such trends, and positing the directions of evolution is challenging. Neither do qualitative tools, embracing the complexities, provide all the solutions, since transparent and repeatable techniques need to be employed to create best practices and evaluate the intelligence that comes from such exercises. In this paper, we present a hybrid roadmapping technique that draws on a number of approaches and integrates them into a multi-level approach (individual activities, industry evolutions and broader global changes) that can be applied to breakthrough technologies. We describe this approach in deeper detail through a case study on dye-sensitized solar cells. Our contribution to this special issue is to showcase the technique as part of a family of approaches that are emerging around the world to inform strategy and policy. The number and extent of current Science, Technology & Innovation topics are changing all the time, and their induced accumulative innovation, or even disruptive revolution, will heavily influence the whole of society in the near future. By addressing and predicting these changes, this paper proposes an analytic method to (1) cluster associated terms and phrases to constitute meaningful technological topics and their interactions, and (2) identify changing topical emphases. Our results are carried forward to present mechanisms that forecast prospective developments using Technology Roadmapping, combining qualitative and quantitative methodologies. An empirical case study of Awards data from the United States National Science Foundation, Division of Computer and Communication Foundation, is performed to demonstrate the proposed method. The resulting knowledge may hold interest for R&D management and science policy in practice. This study focuses on the trajectories and patterns of China's international collaborations over the period 1976-2010, using patent statistics and association analysis methods. The results identify those government policies that have significantly encouraged changes in the scale and scope of China's collaborations since 1997. The USA and Taiwan are major international collaborators with China, and the top cooperative entities are large-scale multi-national firms, which specialise in production, sales research and development of information or electronics technology; in contrast, universities and research institutions have a negligible presence in international collaborative patenting. This study finds that although China has developed significant international collaborative networks since the 1990s, it still needs to extend these ties to an even greater range of international partners and establish a broader scope of research interests. © 2014 © 2014 Taylor & Francis. Zhou, X, Porter, AL, Robinson, DKR, Zhang, Y & Guo, Y 2014, 'Nano-Enabled Drug Delivery: Subsystems, Hot Topics and Future Innovation Pathways' in Nanotechnology: Recent Trends, Emerging Issues and Future Directions, pp. 25-44. © 2014 Nova Science Publishers, Inc. Nano-Enabled Drug Delivery (NEDD) systems attract attention as a key nano application area. As an emerging scientific and medical field, many researchers and investors want to understand the status and prospects of developments in this domain. Capturing the global developments of NEDD is a challenge, since it is a combination of various technology R and D lines, with a variety of application areas. To help address this challenge, a variety of publication and patent databases provide a reservoir of information on research activities that can be "data mined." The challenge is smart extraction of what is relevant, and how to discern relationships to inform R and D decisions. In this chapter we describe how to do such smart extraction and present a three step process: (1) to articulate the search strategy for the gathering of data, (2) the data capture and sensemaking (using the Web of Science and MEDLINE databases) and (3) transformation of these findings into a Technology Roadmap (TRM) tracking NEDD development. © 2018 Inderscience Enterprises Ltd. While some studies have observed the beneficial impact of mergers and acquisitions (M&As) on a firm's innovation performance in developed countries, others have found the consequences to be neutral or even negative. This article develops an integrated framework to elucidate how the combination of technological relatedness and product relatedness between acquiring and target firms affects post-innovation performance of technology-driven M&As. This performance is investigated by using a set of parameters, namely R&D input, patent and product activity, and the financial results from commercialisation. We conducted case studies on China's high-tech firms derived from three diverse industry sectors, and the empirical results indicate that both types of relatedness between the partners of technology-driven M&As are conducive to the intensification of R&D expenditures. The acquisition of similar technologies and products has more significant effects on R and D input and output, and M&As without technology relatedness have better financial performance, since they lead acquirers to new technology sectors or sub-sectors. In comparison, M&As with technological complementarity and product complementarity have negative effects on related innovation processes in the short term. What are the implications of big data in terms of big impacts? Our research focuses on the question, "How are data analytics involved in policy analysis to create complementary values?" We address this from the perspective of bibliometrics. We initially investigate a set of articles published in Nature and Science, seeking cutting-edge knowledge to sharpen research hypotheses on what data science offers policy analysis. Based on a set of bibliometric models (e.g., topic analysis, scientific evolutionary pathways, and social network analysis), we follow up with studies addressing two aspects: (1) we examine the engagement of data science (including statistical, econometric, and computing approaches) in current policy analyses by analyzing articles published in top-level journals in the areas of political science and public administration; and (2) we examine the development of policy analysis-oriented data analytic models in top-level journals associated with computer science (including both artificial intelligence and information systems). Observations indicate that data science contribution to policy analysis is still an emerging area. Data scientists are moving further than policy analysts, due to technical difficulties in exploiting data analytic models. Integrating artificial intelligence with econometrics is identified as a particularly promising direction. © 2016 Portland International Conference on Management of Engineering and Technology, Inc. Market competition drives attention to the prospects of New and Emerging Science & Technologies (NESTs), which are fast changing and, so far, have relatively limited applications. Technology evolution pathways, as a powerful representation of the development of technology, have caught researchers' interest as a tool to trace historical progression, explore knowledge diffusion, and forecast future NESTs trends. Citation analysis approaches are actively applied to structure a large number of patents, map patent distribution, and capture knowledge transfer and change in technologies or industries. This paper (1) introduces the indicator of connectivity and modularity in the interior citation network to identify the technology development stage; (2) takes family patent information into the process of building a comprehensive patent citation network; (3) extracts technological trajectories by applying integrated approaches of main path analyses, namely global main path analysis and global key-route main analysis, among different technological stages. We illustrate this approach with Dye-sensitized solar cells (DSSCs), as an example of a promising NEST, contributing to the remarkable growth in the renewable energy industry. The results show how our method can trace the main development trajectory of a research field and discern the technology focus to help decision-makers facilitate technology management. Huang, L, Miao, W, Zhang, Y, Yu, H & Wang, K 2017, 'Network community-based Technological cooperation identification', ISSI 2017 - 16th International Conference on Scientometrics and Informetrics, Conference Proceedings, pp. 1754-1765. Technological cooperation becomes necessary in extending technological application and improving market competitiveness, and thus, it is important to identify collaborative technologies that meet strategic purposes. This paper aims to construct a technological network based on the core terms derived from patent documents to help technology owners achieve such target. A four-step analytic framework is constructed, including: 1) community division, which allows the selection of cooperative technology to be controlled within a more relevant technical range; 2) indicator analysis that can be used to understand the technological situation within the community from three main aspects, i.e., degree, clustering coefficient and line weight; 3) the purpose of cooperation, which is an important basis for the selection of cooperative technology; and 4) technology selection, which is to combine cooperation purposes and indicator analysis to select technology. Finally, a case study on China's artificial intelligence (AI) technology is conducted to demonstrate the feasibility of this method, and the findings will help decision making in related AI fields. © 2017 PICMET. Identifying technological evolution is a crucial way to assist in technology management. Since modern technology has become more and more complex and dynamic, general statistical techniques can hardly capture the underlying information of technological interconnection in the process of technology evolution. However, complex network analysis can be considered to be a powerful tool to investigate this issue. At the same time, patent documents containing rich information to indicate technological evolution in sequential time period can be a significant data source. This paper, based on the core terms derived from patent documents, constructs technological networks, to present the distribution of technologies. The comparison between the networks in sequential time periods can not only provide a way to understand technological evolution in detail, but also forecast technology opportunities, which can be used to help understand the development of selected technologies quickly and provide insights to research and development (R&D) plan and technological commercialization. A case study on exploring the evolution of China's artificial intelligence technologies is conducted to demonstrate the feasibility of this method. © 2017 IEEE. Recent studies shed light on the key elements that influence the link among research funds, collaborative activities and scientific outputs. However, most researches focused on the effects of research fund, and cooperation was only considered as an independent determinant of research productivity. In this paper we evaluate the mediating role of cooperation in the relationship between research fund and scientific outputs of individuals. We conduct a multiple linear regression study to NSFC-Guangdong Joint Fund. Leveraging 40 interviews to the correlated scientists of NSFC-Guangdong Joint Fund, 16 interviews to research directors from universities, and 12 interviews to program managers in the government of Guangdong Province, we examine how NSFC-Guangdong Joint Fund may affects the scientific outputs of individuals in Guangdong through promoting their cross-regional cooperation. Then, we estimate this effect using Web of Science database and our own application database, and find cross-regional cooperation plays a mediating role in prompting the interaction between the fund and scientific outputs of individuals in Guangdong Province. Newly Emerging Science and Technologies (NESTs) bring numerous innovation opportunities and challenges. At the same time, the highly uncertain dynamics of NESTs pose special challenges to traditional technology forecasting tools. Dye-Sensitized solar cells (DSSCs), a promising third-generation photovoltaic technology, can add functionality and lower costs, enhancing the value proposition of solar power generation in the early years of the 21st century. We have analyzed DSSCs R&D activity patterns and trends through a series of studies in the past several years, and come to realize the validation analyses is useful to improve the Science, Technology & Innovation (ST&I) policy processes. Yet, rarely do we revisit forecasts or projections to ascertain how well they fared. One of our aim is to check accuracy, to gain some sense of how valid those studies were and whether they proved useful to others in some ways. Additionally, we want to assess the degree to which such future-oriented analyses did or did not make good use of available information. Moreover, we seek indications of what information is key, and how Future-oriented technology analyses (FTA) processes can better utilize such information. © 2017 PICMET. As one of the most representative emerging technologies, big data analytics and its related applications are rapidly leading the development of information technologies and are significantly shaping thinking and behavior in today's interconnected world. Exploring the technological evolution of big data research is an effective way to enhance technology management and create value for research and development strategies for both government and industry. This paper uses a learning-enhanced bibliometric study to discover interactions in big data research by detecting and visualizing its evolutionary pathways. Concentrating on a set of 5840 articles derived from Web of Science covering the period between 2000 and 2015, text mining and bibliometric techniques are combined to profile the hotspots in big data research and its core constituents. A learning process is used to enhance the ability to identify the interactive relationships between topics in sequential time slices, revealing technological evolution and death. The outputs include a landscape of interactions within big data research from 2000 to 2015 with a detailed map of the evolutionary pathways of specific technologies. Empirical insights for related studies in science policy, innovation management, and entrepreneurship are also provided. Technology plays an increasingly important role in today's enterprise competition. Technology mergers and acquisitions (Tech M&A), as an effective way to acquire external technology resources rapidly, have attracted attention from researchers because of their potential realization of value through synergy. A big challenge that faces corporate managers and government policy makers is how to identify the appropriate target to support effective technology integration. In this study, we develop a model of target selection of Tech M&A from the perspective of technology relatedness and R&D capability. We present the results relating to M&A in the field of cloud computing in China. With the flexibility and complexity of modern science-based technologies, traditional statistical analysis may fail to capture the details of technology evolution, especially for newly emerging science and technologies (NESTs). Tracking technology evolution pathways can support industrial, governmental, and academic decision-making involving future development trends. Patents provide one of several important NEST data resources pertinent to developmental paths. In this paper, we draw upon text analyses, augmented with expert knowledge, to identify key NEST sub-domains and component technologies. We then complement those analyses with patent citation analyses to help track developmental progressions. We identify key sub-domain patents associated with particular component technology trajectories, then extract pivotal patents via citation analyses. We compose evolutionary pathways by combining citation and topical intelligence. We present empirical analyses of Dye Sensitized Solar Cells (DSSCs) to illustrate our approach. We believe this offers potential to inform NEST management by spotting prime opportunities for innovation. Since its first engagement with industry decades ago, Technology Roadmapping (TRM) is taking a more and more important role for technical intelligence in current R&D planning and innovation tracking. Important topics for both science policy and engineering management researchers evolves with the approaches that refer to the real-world problems, explore value-added information from the complex data sets, fuse the analytic results and expert knowledge effectively and reasonable, and demonstrate to the decision makers visually and understandable. Moreover, the growing variety of science data sources in the Big Data Age increases these challenges and opportunities. Addressing these concerns, this paper proposes a TRM composing method with a clustering-based topic identification model, a multiple science data sources integration model, and a semi-automated fuzzy set-based TRM composing model with expert aid. We focus on a case study on computer science related R&D. Empirical data from the United States National Science Foundation Award data (innovative research ideas and proposals) and Derwent Innovation Index data source (patents emphasizing technical products) provide vantage points at two stages of the R&D process. The understanding gained will assist in description of computer science macro-trends for R&D decision makers. Patent claims usually embody the most essential terms and the core technological scope to define the protection of an invention, which makes them the ideal resource for patent content and topic change analysis. However, manually conducting content analysis on massive technical terms is very time consuming and laborious. Even with the help of traditional text mining techniques, it is still difficult to model topic changes over time, because single keywords alone are usually too general or ambiguous to represent a concept. Moreover, term frequency which used to define a topic cannot separate polysemous words that are actually describing a different theme. To address this issue, this research proposes a topic change identification approach based on Latent Dirichlet Allocation to model and analyze topic changes with minimal human intervention. After textual data cleaning, underlying semantic topics hidden in large archives of patent claims are revealed automatically. Concepts are defined by probability distributions over words instead of term frequency, so that polysemy is allowed. A case study using patents published in the United States Patent and Trademark Office (USPTO) from 2009 to 2013 with Australia as their assignee country is presented to demonstrate the validity of the proposed topic change identification approach. The experimental result shows that the proposed approach can be used as an automatic tool to provide machine-identified topic changes for more efficient and effective R&D management assistance. Not only the external quantities, but also the potential topics of current Science, Technology & Innovation (ST&I) are changing all the time, and their induced accumulative innovation or, even, disruptive revolution, should be able to heavily influence the whole society in the near future. Addressing and predicting the changes, this paper proposes an analytic method (1) to cluster associated terms and phrases to constitute meaningful technological topics and (2) to identify changing topical emphases, the results of which we carry forward to present mechanisms to forecast prospective developments via Technology Roadmapping approaches. Furthermore, an empirical case study of Award data in the United States National Science Foundation Division of Computer and Communication Foundations is performed to demonstrate the proposed method and the resulting knowledge could hold interests for R&D management and science policy in practice. Zhang, Y, Zhou, X, Porter, AL & Vicente Gomila, JM 2013, 'How to combine term clumping and technology roadmapping for newly emerging science & technology competitive intelligence: The semantic triz tool and case study', Proceedings of ISSI 2013 - 14th International Society of Scientometrics and Informetrics Conference, pp. 861-875. Competitive Technical Intelligence (CTI) addresses the landscape of both opportunities and competition for emerging technologies as the boom of Newly Emerging Science & Technology (NEST) - characterized by a challenging combination of great uncertainty and great potential - has become a significant feature of the globalized world. We have been focusing on the construction of a "NEST Competitive Intelligence" methodology, which blends bibliometric and text mining methods to explore key technological system components, current R&D emphases, and key players for a particular NEST. As an important part of these studies, this paper emphasizes the semantic TRIZ approach as a useful tool to represent "Term Clumping" results and apply them to Technology Roadmapping (TRM), with the help of semantic Problem & Solution (P&S) patterns. A greater challenge lies in the attempt to extend our approach into NEST Competitive Intelligence studies by using both inductive and purposive bibliometric approaches. Finally, an empirical study for Dye-Sensitized Solar Cells (DSSCs) is used to demonstrate these analyses. © AIT Austrian Institute of Technology GmbH Vienna 2013.